Artificial Intelligence Lead Data Scientist (contractor), New Digital Business, BBVA, Spain. 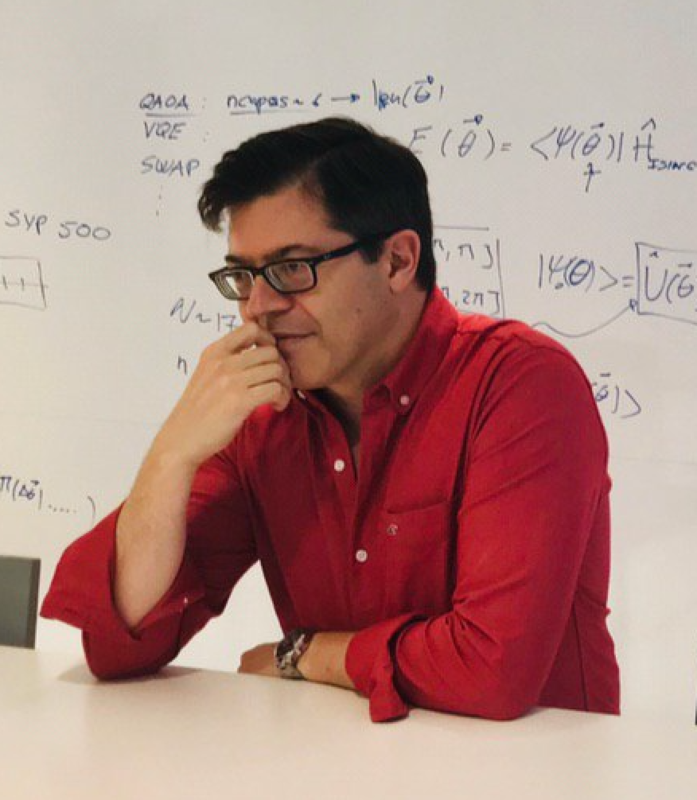 (Catedrático) Professor of Data Science, University Pablo de Olavide, Spain. Topics taugth (teaching in english several courses): Decision Support Systems, Machine Learning, Computational Intelligence, Business Informatics, Concurrent programming (Erlang). Assistant Professor of Information Systems, University Pablo de Olavide, Spain. Topics taugth: Decision Support Systems, Information Systems, Business Systems Analysis, Business Informatics, Information Systems Analysis and Design. Visiting Scientist, Department of Information Systems and Quantitative Sciences, USA. Texas Tech University, USA. Assistant Professor of Information Systems, University of Huelva, Spain. Topics taugth: Decision Support Systems, Information Systems, Information Technology, Business Informatics. Teaching assistant of Information Systems, University of Huelva, Spain. Topics taugth: Information Systems, Decision Support Systems, Information Systems Analysis and Design. Teaching assistant of Information Systems, University of Seville, Spain. Topics taugth: Business Informatics, Decision Support Systems. Teaching assistant of Information Systems, San Pablo CEU, Spain. Topics taugth: Business Informatics, Decision Support Systems. Vice-President of the International Association of Grey Systems and Uncertain Analysis, 2016-. Editorial board of the journal Applied Soft Computing, 2014-. Associate Editor of the journal Grey Systems: Theory and Applications, 2014-. Editorial board of the Industrial Engineering & Management journal, 2013-. Editorial board of the Journal of Systems and Management Sciences sponsored by Beijing Jiaotong University, 2013-. Guest co-editor of the Special Issue on Fuzzy Cognitive Maps at Neurocomputing journal. Guest co-editor of the Special Issue on Artificial Intelligence in Emotion Technology Methods and Applications at Journal of Advanced Computational Intelligence and Intelligent Informatics. Editorial board of the Journal of Industrial Engineering and Management, 2009-2015. Program Co-chair and Keynote speaker of the IEEE International Conference on Grey Systems and Intelligent Services, Stockholm (Sweden) 2017. Keynote speaker in the 19th International Conference on Systems Science - Workshop on Uncertain Systems, Wroclaw (Poland) 2016. Program committee member of the International Conference on Computational Intelligence in Security for Information Systems 2008-present. Program committee member of the International Conference on Enterprise Systems, Accounting and Logistics 2006-present. Co-chair of the Special Session Methods and Applications of Fuzzy Cognitive Maps at the 2016 IEEE International Conference on Fuzzy Systems, Vancouver (Canada) 2015. Co-chair of the 2016 International Conference on Grey Systems and Its Applications, Leicester (UK) 2016. Keynote speaker in the European Meeting on Grey Systems and its Applications, Bucharest (Romania) 2015. Co-chair of the Special Session Methods and Applications of Fuzzy Cognitive Maps at the 2015 IEEE International Conference on Fuzzy Systems, Istambul (Turkey) 2015. Co-chair and Keynote speaker of the IEEE International Conference on Grey Systems and Intelligent Services, Leicester (UK) 2015. Scientific committee member of the 7th Asian Conference on Intelligent Information and Database Systems, 23-25 March, Bali (Indonesia) 2015. Organizing committee member at the Annual Summit on Artificial Intelligence, Philadelphia (USA) 2014. Co-chair of the Special Session Methods and Applications of Fuzzy Cognitive Maps at the 2014 IEEE International Conference on Fuzzy Systems, Beijing (China) 2014. Program committee member at the 7th International Conference on Computational Intelligence in Security for Information Systems, Bilbao (Spain) 2014. Program committee member at the International Summit on Industrial Engineering, San Francisco (USA) 2014. Program committee member at the Knowledge, Information and Creativity Support Systems, Limassol (Cyprus) 2014. Co-chair of the Special Session Emerging Trends in Methods and Applications of Fuzzy Cognitive Maps at the 2013 IEEE International Conference on Fuzzy Systems, Hyderabad (India) 2013. Program committee member of the Knowledge, Information and Creativity Support Systems, Krakow (Poland) 2013. Program committee member of the 1st International Workshop on Fuzzy Cognitive Maps Theory and Applications, Paphos (Cyprus) 2013. Co-chair of the Special Session Fuzzy Cognitive Maps - Theory and Applications at the 2011 IEEE International Conference on Fuzzy Systems, Taipei (Taiwan) 2011. Co-chair of the Special Session Fuzzy Cognitive Maps at the International Conference on Artificial Intelligence, Las Vegas (USA) 2011. G. Nápoles, J.L. Salmeron and K. Vanhoof (2019). Construction and Supervised Learning of Long-Term Grey Cognitive Networks. IEEE Transactions on Cybernetics Forthcoming. J.L. Salmeron and A. Ruiz-Celma (2019). Elliot and Symmetric Elliot Extreme Learning Machines for gaussian noisy industrial thermal modelling. Energies 12(1), pp. 90-119. J.L. Salmeron, T. Mansouri, M.R.S. Moghadam and A. Mardani (2019). Learning Fuzzy Cognitive Maps with Modified Asexual Reproduction Optimization algorithm. Knowledge-Based Systems 163, pp. 723-735. J.L. Salmeron and P. Palos (2019). Uncertainty propagation in Fuzzy Grey Cognitive Maps with Hebbian-like learning algorithms. IEEE Transactions on Cybernetics 49(1), pp. 211-220. W. Froelich and J.L. Salmeron (2017). Advances in Fuzzy Cognitive Maps Theory (Guest Editorial). Neurocomputing 232, pp. 1-2. J.L. Salmeron, A. Ruiz-Celma and A. Mena (2017). Learning FCMs with multi-local and balanced memetic algorithms for forecasting drying processes. Neurocomputing 232, pp. 52-57. J.L. Salmeron, S.A. Rahimi, A.M. Navalie and A. Sadeghpour (2017). Medical Diagnosis of Rheumatoid Arthritis using Data driven PSO-FCM. Neurocomputing 232, pp. 104-112. J.L. Salmeron and W. Froelich (2016). Dynamic Optimization of Fuzzy Cognitive Maps for Time Series Forecasting. Knowledge-Based Systems. 105, pp. 29-37. J.L. Salmeron (2016). An Autonomous FGCM-based System for Surveillance Assets Coordination. The Journal of Grey Systems 28(1), pp. 27-35. R. Vidal, J.L. Salmeron, A. Mena and V. Chulvi (2015). Fuzzy Cognitive Map-based selection of TRIZ trends for eco-innovation of ceramic industry products. Journal of Cleaner Production 107, pp. 202-214. J.L. Salmeron and E.I. Papageorgiou (2014). Fuzzy Grey Cognitive Maps and Nonlinear Hebbian Learning in process control. Applied Intelligence 41(1), pp. 223-234. W. Froelich and J.L. Salmeron (2014). Evolutionary Learning of Fuzzy Grey Cognitive Maps for the Forecasting of Multivariate, Interval-Valued Time Series. International Journal of Approximate Reasoning 55(6), pp. 1319-1335. C. Lopez and J.L. Salmeron (2014). Modeling maintenance projects risks effects on ERP performance. Computer Standards & Interfaces 36(3), pp. 545-553. C. Lopez and J.L. Salmeron (2013). Dynamic risks modelling in ERP maintenance projects with FCM. Information Sciences 256, pp. 25-45. E.I. Papageorgiou and J.L. Salmeron (2013). A Review of Fuzzy Cognitive Maps research during the last decade. IEEE Transactions on Fuzzy Systems 21(1), pp. 66-79. J.L. Salmeron (2012). Fuzzy Cognitive Maps for Artificial Emotions Forecasting. Applied Soft Computing 12(12), pp. 3704–3710. J.L. Salmeron and E. Gutierrez (2012). Fuzzy Grey Cognitive Maps in Reliability Engineering. Applied Soft Computing 12(12), pp. 3818-3824. J.L. Salmeron and C. Lopez (2012). Forecasting Risk Impact on ERP Maintenance with Augmented Fuzzy Cognitive Maps. IEEE Transactions on Software Engineering 38(2), pp-439-452. J.L. Salmeron and E.I. Papageorgiou (2012). A Fuzzy Grey Cognitive Maps-based Decision Support System for Radiotherapy Treatment Planning. Knowledge-Based Systems 30(1), pp. 151-160. J.L. Salmeron and C. Lopez (2012). Ranking Ambient Intelligence projects risks. Journal of Applied Research and Technology 9(3), pp. 419-429. J.L. Salmeron, R. Vidal and A. Mena (2012). Ranking Fuzzy Cognitive Maps based scenarios with TOPSIS. Expert Systems with Applications 39(3), pp. 2443-2450. E.I. Papageorgiou and J.L. Salmeron (2012). Learning Fuzzy Grey Cognitive Maps using Nonlinear Hebbian-based approach. International Journal of Approximate Reasoning 53(1), pp. 54-65. C. Lopez and J.L. Salmeron (2011). Exploring Risk Factors in ERP Maintenance Projects. Scientific Journal of Riga Technical University 43, pp. 50-56. V.A. Banuls and J.L. Salmeron (2011). Scope and design issues in Foresight Support Systems. International Journal of Foresight and Innovation Policy 7(4), pp. 338-351. J.L. Salmeron and C. Lopez (2010). A multicriteria approach for risks assessment in ERP maintenance. Journal of Systems and Software 83(10), pp. 1941-1953. J.L. Salmeron (2010). Modelling grey uncertainty with Fuzzy Grey Cognitive Maps. Expert Systems with Applications 37(12), pp. 7581-7588. J.L. Salmeron (2009). Augmented Fuzzy Cognitive Maps for modelling LMS Critical Success Factors. Knowledge-Based Systems 22(4), pp. 275-278. J.L. Salmeron (2009). Supporting decision makers with Fuzzy Cognitive Maps. Research-Technology Management 52(3), pp. 53-59. S. Bueno and J.L. Salmeron (2009). Benchmarking Main Activation functions in Fuzzy Cognitive Maps. Expert Systems with Applications 36(3 part. 1), pp. 5221-5229. S. Bueno and J.L. Salmeron (2008). TAM-based success modelling in ERP. Interacting with Computers 20(6), pp. 515-523. S. Bueno and J.L. Salmeron (2008). Fuzzy modelling Enterprise Resource Planning tool selection. Computer Standards & Interfaces 30(3), pp. 137-147. V.A. Banuls and J.L. Salmeron (2008). Foresighting key areas in the information technology industry. Technovation 28(3), pp. 103-111. J.L. Salmeron and F. Smarandache (2008). Redesigning Decision Matrix Method with an indeterminacy-based inference process. International Journal of Applied Mathematics & Statistics 13(8). L. Rodriguez-Repiso, R. Setchi and J.L. Salmeron (2007). Modelling IT Projects Success: Emerging Methodologies Reviewed. Technovation 27(10), pp. 582-594. V.A. Banuls and J.L. Salmeron (2007). A Scenario-based Assessment Model - SBAM. Technological Forecasting and Social Change 74(6), pp. 750-762. L. Rodriguez-Repiso, R. Setchi and J.L. Salmeron (2007). Modelling IT Projects success with Fuzzy Cognitive Maps. Expert Systems with Applications 32(2), pp. 543-559. V.A. Banuls and J.L. Salmeron (2007). Benchmarking the Information Society in the Long Range. Futures 39(1), pp. 83-95. J.L. Salmeron and S. Bueno (2006). An Information Technologies and Information Systems Industry-based evaluation in Small and Medium-Sized Enterprises. European Journal of Operational Research 173(3), pp. 1012-1025. J.L. Salmeron and J.M. Hurtado (2006). Modelling the reasons to establish B2C in the fashion industry. Technovation 26(7), pp. 865-872. J.L. Salmeron and F. Smarandache (2006). Extending Decision-Matrix Method with Neutrosophic Logic. Advances in Fuzzy Sets and Systems 1(3), pp. 263-271. I. Herrero and J.L. Salmeron (2005). Using the DEA Methodology to Rank Software Technical Efficiency. Communications of the ACM 48(1), pp. 101-106. J.L. Salmeron and I. Herrero (2005). An AHP-based methodology to rank Critical Success Factors of Executive Information Systems. Computer Standards & Interfaces 28(1), pp.1-12. S. Lozano and J.L. Salmeron and I. Herrero (2005). Data Envelopment Analysis of OR/MS journals. Scientometrics 64(2), pp.133-150. J.L. Salmeron (2003). EIS Success: Keys and difficulties in major companies. Technovation 23(1), pp. 35-38. J.L. Salmeron (2002). EIS Evolution in Large Spanish Businesses. Information & Management 40(1), pp. 41-50. J.L. Salmeron (2002). EIS profitability, costs and benefits: An evolutionary approach. Industrial Management & Data Systems 102(5-6), pp. 284-288. J.L. Salmeron (2002). EIS data: Findings from an evolutionary study. Journal of Systems and Software 64(2), pp. 111-114. J.L. Salmeron, P. Luna and F.J. Martinez (2001). Executive Information Systems in major companies: Spanish Case study. Computer Standards & Interfaces 23(3), pp. 195-207. J.L. Salmeron and E.I. Papageorgiou (2013). Using Fuzzy Grey Cognitive Maps in industrial process control in E.I. Papageorgiou, Fuzzy Cognitive Maps for Applied Sciences and Engineering, Springer. E.I. Papageorgiou and J.L. Salmeron (2013). Methods and Algorithms for Fuzzy Cognitive Map-based Decision Support, in E.I. Papageorgiou, Fuzzy Cognitive Maps for Applied Sciences and Engineering, Springer. J.L. Salmeron and C. Lopez (2012). Fuzzy approach for monitoring project success in IT/IS industry, in Belkhamza and Wafa, Measuring Organizational Information Systems Success: New Technologies and Practices, IGI Global. J.L. Salmeron (2012). Autonomous Decision Systems in Multi-meanings Environments, in M. Gavalec, M. Husakova, P. Mikulecky, E. Gutierrez, K. Mls, H. Mohelska, K. Olsevicova, J.L. Salmeron, M. Sokolova, L. Svobodova, P. Tucnik, J. Vascak, Autonomous Decision Systems Handbook, Technika Literatura, Prague, Czech Republic. J.L. Salmeron and F. Smarandache (2010). Redesigning Decision Matrix Method with an indeterminacy-based inference process, in F. Smarandache Multispace & Multistructure. Neutrosophic transdisciplinary, North-European Scientific Publishers, Hanko, Finland. V.A. Banuls and J.L. Salmeron (2009). Fundamentals of Information Systems Foresight. RA-MA (written in spanish). J.L. Salmeron and F. Smarandache (2006). Processing Uncertainty and Indeterminacy in Information Systems Projects success mapping, in F. Smarandache, S. Bhattacharya and M. Khoshnevisan, Computational Modelling in Applied Problems: collected papers on econometrics, operations research, game theory and simulation, Hexis. J.L. Salmeron and J.M. Hurtado (2005). Modelling Business to Consumer Systems Adoption. Lecture Series on Computer and Computational Sciences 2(1), pp. 116-119. J.L. Salmeron and V.A. Banuls (2005). Detecting IS/IT future trends: An analysis of technology foresight processes around the world. Lecture Series on Computer and Computational Sciences 2(1), pp. 120-123. J.L. Salmeron and M.B. Ramirez (2005). Modelling success in Information Technology projects. Lecture Series on Computer and Computational Sciences 2(1), pp. 124-127. J.L. Salmeron and S. Bueno (2005). An isomorphic-based model in IT/IS assimilation. Lecture Series on Computer and Computational Sciences 2(1), pp. 128-131. P. Luna, F.J. Martinez and J.L. Salmeron (2001). Internet for researchers 3rd edition, Publications of the University of Huelva (written in spanish). F.J. Martinez, P. Luna, M. Garcia, and J.L. Salmeron (2000). Analysis of Information Technology in Tourism industry, in New Information Technologies in Tourism and Telework, Technographic, pp. 209-248 (written in spanish). P. Luna, F.J. Martinez, R. Pozo, J.C. Ruiz, and J.L. Salmeron (1998). Learning Spreadsheet with case studies, McGraw-Hill (written in spanish). F.J. Martinez, J.L. Salmeron and J.C. Roca (1998). A multidisciplinary view of Telework, Publications of the University of Huelva (written in spanish). P. Luna, F.J. Martinez and J.L. Salmeron (1998). Internet for researchers 2nd edition, Publications of the University of Huelva (written in spanish). J.L. Salmeron (1997). Fundamentals of Information Systems, Publications of the University of Huelva (written in spanish). P. Luna, F.J. Martinez and J.L. Salmeron (1997). Internet for researchers 1st edition, Publications of the University of Huelva (written in spanish). J.L. Salmeron, W. Froelich and E.I. Papageorgiou (2015). Application of Fuzzy Cognitive Maps to the Forecasting of Daily Water Demand in International work-conference on Time Series Analysis, Granada (Spain) 2015. J.L. Salmeron (2013). Simulating synthetic emotions with Fuzzy Grey Cognitive Maps in Symposium on Emergent Trends in Artificial Intelligence & Robotics 2013, Kosice (Slovak Republic). V.K. Mago, E.I. Papageorgiou, J.L. Salmeron and A. Mago (2012). Employing Fuzzy Cognitive Map for Periodontal Disease assessment in IEEE International Conference in Fuzzy Systems 2012, Brisbane (Australia). J.L. Salmeron (2012). Dynamic patterns-based system for assessing projects in IADIS Information Systems 2012, Lisbon (Portugal). C. Lopez and J.L. Salmeron (2012). Risks Response Strategies for Supporting Practitioners Decision-Making in Software Projects in 4th Conference of ENTERprise Information Systems - aligning technology, organizations and people (CENTERIS 2012), Lisbon (Portugal). C. Lopez and J.L. Salmeron (2012). Monitoring Software Maintenance Project Risks in 4th Conference of ENTERprise Information Systems - aligning technology, organizations and people (CENTERIS 2012), Lisbon (Portugal). C. Lopez, J.L. Salmeron and S. Lozano (2011). Software maintenance scenarios simulation with Fuzzy Cognitive Maps in IEEE International Conference in Fuzzy Systems 2011, Taipei (Taiwan). J.L. Salmeron and E. Gutierrez (2011). Modelling Complex Systems with Fuzzy Grey Cognitive Maps in International Conference on Artificial Intelligence 2011, Las Vegas (NV, USA). J.L. Salmeron, A.P. Moreno-Beltran, and S. Lozano (2011). Network DEA assessment of NBA teams efficiency in International Conference on Operations Research 2011, Zurich (Switzerland). C. Lopez and J.L. Salmeron (2011). Exploring Risk Factors in ERP Maintenance Projects in The 10th International Conference on Perspectives In Business Informatics Research, Riga (Latvia). C. Lopez and J.L. Salmeron (2011). A framework for classifying risks in ERP maintenance projects in 2011 International Conference on E-Business, Seville (Spain). C. Lopez and J.L. Salmeron (2011). Supporting risks management in ERP post- implementation projects in The 11th EURAM Annual Conference, Tallinn (Estonia). J.L. Salmeron and A. Mena (2010). Formal methodologies for modelling Critical Success Factors in IT projects in XV International Congress on Project Engineering 2010, Madrid (Spain). S. Lozano, E. Gutierrez and J.L. Salmeron (2010). Network DEA models for air transport efficiency assessment in The 2010 World Conference of Air Transport Research Society 2010, Oporto (Portugal). S. Lozano, E. Gutierrez, A.P. Moreno-Beltran, and J.L. Salmeron (2010). A Network DEA model of airlines in Euro XXIV - 24th European Conference on Operational Research, Lisbon (Portugal). J.L. Salmeron and C. Lopez (2010). Civil Safety Engineering with Artificial Intelligence in 2010 International Congress on Environmental Health, Coimbra (Portugal). J.L. Salmeron and C. Lopez (2010). Ranking Ambient Intelligence projects risks in 2010 International Congress on Environmental Health, Coimbra (Portugal). J.L. Salmeron and A. Mena (2010). Risks standards in IT projects engineering in XV International Congress on Project Engineering 2010, Madrid (Spain). S. Lozano, A. Diaz, J. Esparza and J.L. Salmeron (2010). SOM for finding WEEE Consumer behaviour patterns in ALIO-INFORMS Joint International Meeting, Buenos Aires (Argentina). V.A. Banuls and J.L. Salmeron (2010). Foresight in Emergency Management in International Conference on Information Systems for Crisis Response and Management, Washington D.C. (USA). S. Lozano, Y. Barba, B.A. Diaz and J.L. Salmeron (2009). Russell non-radial Eco-Efficiency measure and scale elasticity of a sample of electric/electronic products in 3rd IEEE International Conference in Modelling, Simulation and Applied Optimization 2009, Sharjah (United Arab Emirates). K. Mls, J.L. Salmeron and K. Olsevicova (2009). Cognitive Personal Software Assistants within AmI Environment in Ambient Intelligence Forum, Hradec Kralove (Czech Republic). C. Lopez and J.L. Salmeron (2009). Catalogo de riesgos del mantenimiento de sistemas ERP, IADIS Iberoamerican Conference WWW/Internet, Algarve (Portugal). S. Lozano, G. Villa, F. Cuevas and J.L. Salmeron (2008). Spanish Harbours efficiency with DEA in XIV Iberoamerican Congress on Operations Research 2008, Cartagena de Indias (Colombia). J.L. Salmeron, S. Bueno and V.A. Banuls and M.T. Gonzalez (2008). ERP system selection with fuzzy modelling in 3rd World Conference on Production and Operations Management, Tokyo (Japan). J.L. Salmeron, M. Aguayo and R. Pozo (2008). A qualitative decision support tool for operational managers in 3rd World Conference on Production and Operations Management, Tokyo (Japan). V.A. Banuls and J.L. Salmeron (2008). Foresight in emergency management in 5th International Conference on Information Systems for Crisis Response and Management, Washington D.C. (USA). J.L. Salmeron (2008). Group Decision Support Systems in Technology Policy Analysis in 7th Wuhan International Conference on e-Business, Wuhan (China). J.L. Salmeron (2007). Foresight analysis for public policies priorities in Vth Iberoamerican Academy of Management, Santo Domingo (Republica Dominicana). J.L. Salmeron and V.A. Banuls (2005). Applying Scenario and Multicriteria Methods to simulate and assess technology policies in 25th International Symposium on Forecasting, San Antonio (Texas, USA). J.L. Salmeron, V.A. Banuls, M.D. Gallego, S. Bueno (2003). Measuring regional development with a macroindicator in XIII National Congress of ACEDE, Salamanca (Spain). J.L. Salmeron, S. Bueno, V.A. Banuls, and M.D. Gallego (2003). A multivariate analysis of IT-based decision making in IADIS Iberoamerican WWW/INTERNET 2003, Algarve (Portugal). J.L. Salmeron, V.A. Banuls, S. Bueno, and M.D. Gallego (2003). Technological Foresight as a support of Public Policies in IADIS Iberoamerican WWW/INTERNET 2003, Algarve (Portugal). J.L. Salmeron, M.D. Gallego, S. Bueno, and V.A. Banuls (2003). Critical Success Factors in Electronic Data Interchange in IADIS Iberoamerican WWW/INTERNET 2003, Algarve (Portugal). J.L. Salmeron, P. Luna, and F.J. Martinez (1998). Hierarchical organization towards virtual company and telework in IV IFSAM World Congress 1998, Madrid (Spain). J.L. Salmeron, P. Luna, and F.J. Martinez (1997). Electronic Commerce and Direct Marketing in Spain and Mediterranean Countries in Euroconference on Barries to Electronic Trade in the European and Mediterranean Area 1997, Malaga (Spain). P. Luna, F.J. Martinez and J.L. Salmeron (1997). Using IT to create virtual companies in peripheral regions of Europe in European Conference in Information Systems 1997, Cork (Ireland). Prof. Jose L. Salmeron, Ph.D., Eng, ACMLTM.